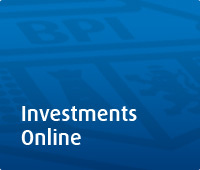 For registered BPI EOL users with existing investment funds, go to BPI Expressonline (www.bpiexpressonline.com), and login to your account. From the menu bar, mouse over “Investments” and select either “Unit Investment Trust Funds” or "Mutual Funds". Select the applicable investment account. The funds held under your selected investment account will display. Select the fund for enrollment from the list of suitable investment products. Provide your Regular Subscription Plan (RSP) details. Review and confirm your subscription order. A confirmation page of the Regular Subscription Plan (RSP) will appear. You’re Done! An email confirmation of your enrollment will be sent to your registered BPI Expressonline email address.